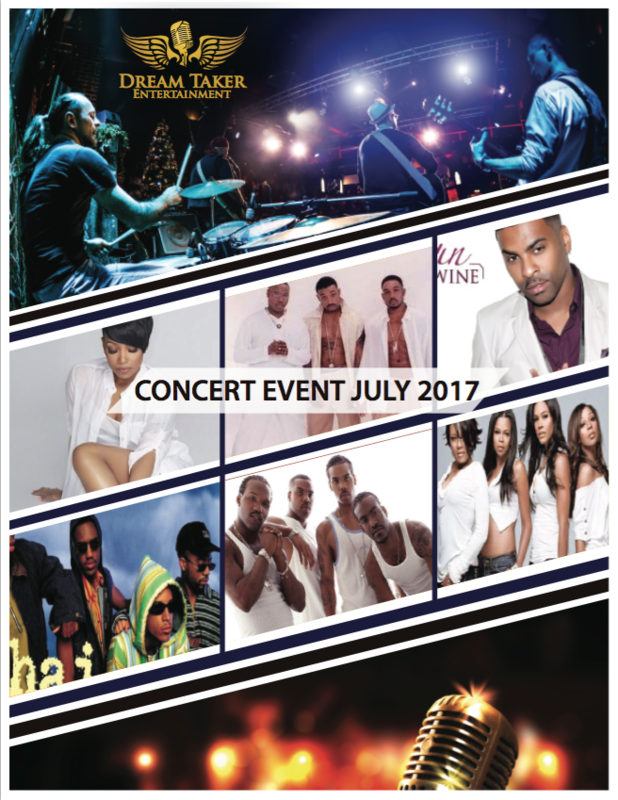 This coming July 2016 Dream Taker Entertainment will be hosting their first concert at Route 29 Pavilion in Concord, NC in front of the Charlotte Morot Speedway. For information http://www.DreamTakerEntertainment.com or contact Kenya, Latoya or Cortney off their website for more information. It was a previlege for Into-Reality to have custom designed therir log, business presentations, collateral marketing materials, website and out work in ongoing. You can read their testimonial on the Testimonials page of this website.